Family Reunions bring families together and fun, family adventure creates lasting memories worth repeating year after year. Plan your family reunion with the Partons and the Owens. Get this special offer at Dolly Parton’s Smoky Mountain Adventures in Pigeon Forge, TN. 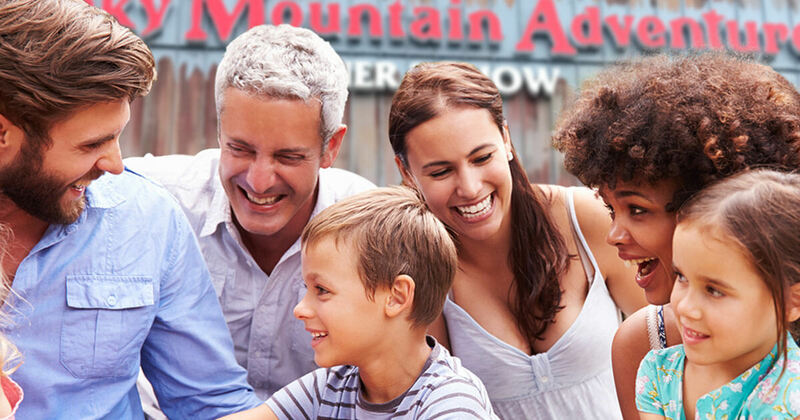 Get $3 off child tickets* for a limited time at Dolly Parton’s Smoky Mountain Adventures! The cast at Smoky Mountain Adventures will amaze you as both families show off their incredible skills and talents. Avie Lee puts you on the edge-of-your-seat as she and Lee fly above the crowd in a breathtaking aerial act. Plus, the Partons and the Owens will thrill your entire family as they defy gravity in specialty acts and competitions. We all know there’s nothing more important than a healthy, happy family. And there’s no better way to enjoy your family reunion than with good, clean family adventure at someplace special! Take advantage of this special offer and bring your family to the most exciting place to eat!